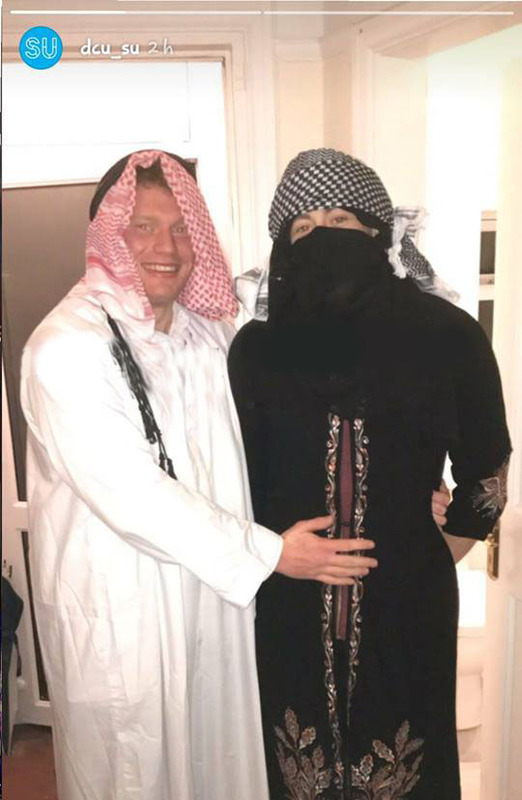 DCUSU was criticised by students Saturday night after an Instagram story on the DCUSU official account showed two VPs dressed in long robes and keffiyeh head scarves. Podge Henry VP for Equality and Welfare has called an Instagram post “lapse in judgement” and a “terrible mistake” after students said it was an example of cultural appropriation. VP for Education and Training Mathew Davey was also in the post, which was removed early Sunday morning. The picture was taken Saturday night at a house party attended by the three SU officers. The event was fancy dress and Henry said he arrived without a costume and put on one that was already at the house. “The reason I am bringing this up with DCU is because it was promoted through an official DCU account and by employees, hence DCU as a whole could be held reliable, could be associated and/or labelled as being offensive, inconsiderate and racist accordingly,” said a DCU student who wished to remain anonymous due to the sensitive nature of the issue. “I am not trying to throw shade at anyone, but when it’s on the official [SU] Instagram story, it’s really bad,” said the student. Henry stressed that it was never their intent to hurt or offend anyone and that “cultural appropriation is something we need to be more aware of in the future”. Behan said in direct response to the post, the SU wants to launch a campaign on cultural appropriation awareness to prevent similar incidences in the future. The incident has been dealt with within the SU under SU guidelines.